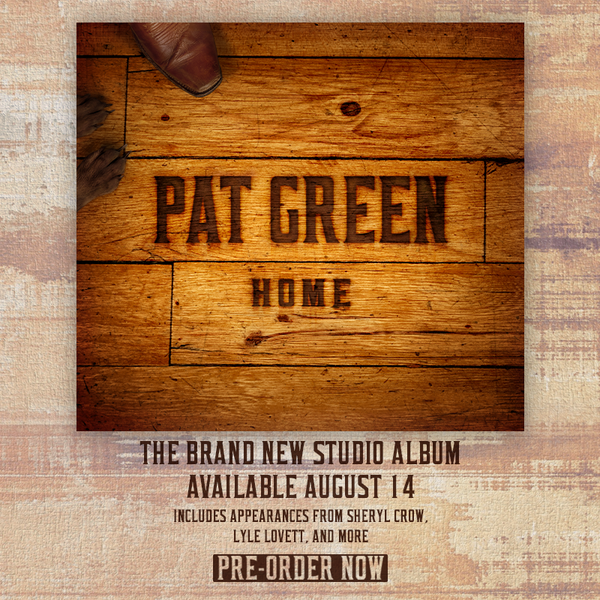 Pat's brand new album, HOME, features 13 all-new songs including appearances from Sheryl Crow, Lyle Lovett, and more. HOME will be available on August 14. Pre-order on iTunes now for a limited-time price of $6.99 and get 4 songs instantly. Pre-order the physical autographed CD for $7 and have the autographed CD arrive directly to your home with FREE shipping, plus get 4 songs instantly.